WINIR was set up to promote institutional research by organising conferences, symposia, workshops and hosted conference sessions, around the world (click map to enlarge). See the WINIR events Prezi here. Second WINIR Symposium to take place in Bristol (UK) from Monday 4 to Wednesday 6 April 2016. The symposium theme is "Property Rights". 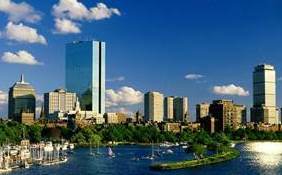 Third WINIR Conference to take place in Boston (USA) from Friday 2 to Monday 5 September 2016. The conference theme is "Institutions and Human Behaviour". Third WINIR Symposium to take place in Johannesburg (South Africa) from Tuesday 11 to Thurdsay 13 April 2017. The symposium theme is "The legacy of Ludwig Lachmann: interdisciplinary perspectives on institutions, agency and uncertainty"
Fourth WINIR Conference to take place in Utrecht (Netherlands) from Thursday 14 to Sunday 17 September 2017. The conference theme is "Institutions and Open Societies". Fifth WINIR Conference planned in Hong Kong (China) in September 2018.